On Monday, April 23, 2018, I had the chance to share my passion of astronomy with the subscribers of Facebook Education as part of their Astronomy April month. 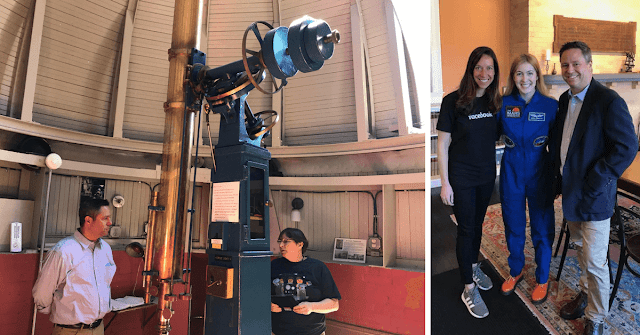 Facebook Education's Monica Ares conducted a Facebook Live session with Abigail Harrison (known as Astronaut Abby) and I at Whitin Observatory located on the campus of Wellesley College in Wellesley, Massachusetts. Abby has the dream of becoming an astronaut and the first person to walk on Mars. She is also recognized as an International STEAM (science, technology, engineering, arts, mathematics) and space ambassador and is the founder and leader of an international nonprofit with more than 1.1 million followers called The Mars Generation. After hearing her inspiring interview on Facebook Live, I truly believe with her passion and drive to be the first person to set foot on Mars... It will become a reality! 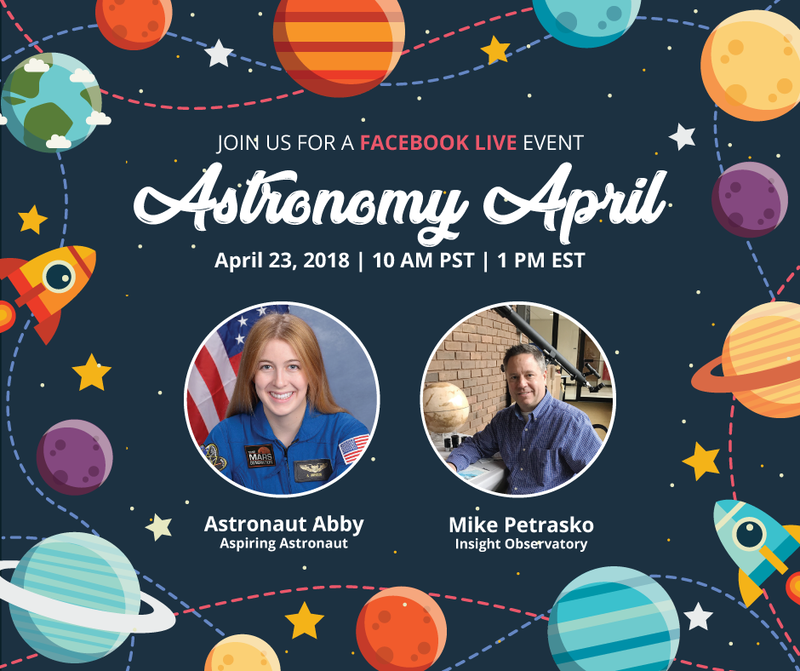 Facebook Education Live - Astronomy April Promo Card. I arrived an hour early to make sure I found my way to the observatory where the interview was scheduled to take place. 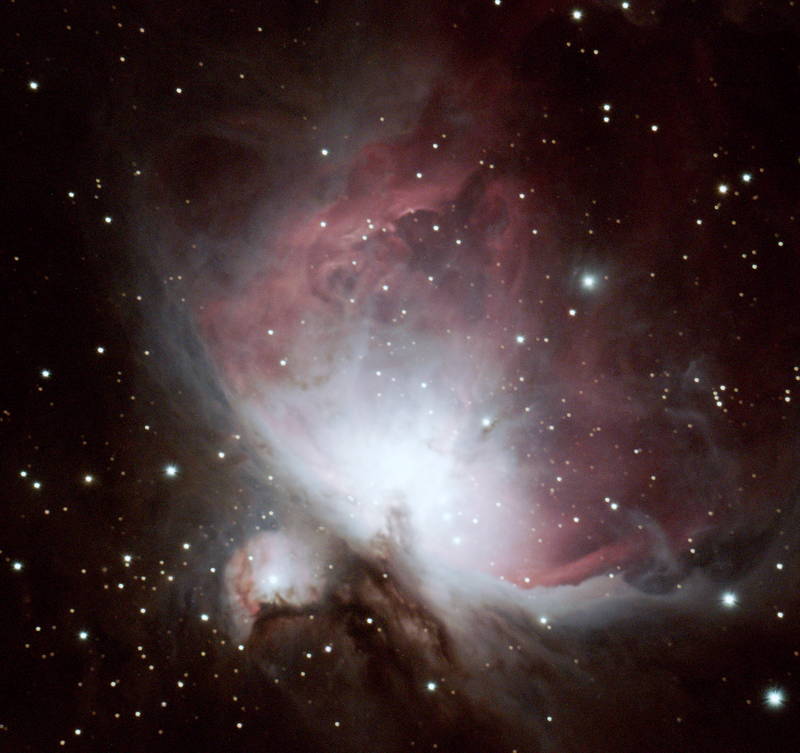 After I arrived I browsed through classic astronomy texts in the observatory's library inserted between the domes. Monica and her sister, Cristina, (who amazingly operated the camera) arrived shortly thereafter. We were then greeted by Dr. Kim Katris McLeod, an astronomer and professor at the college, who gave us a brief tour of the telescopes housed under the three domes. 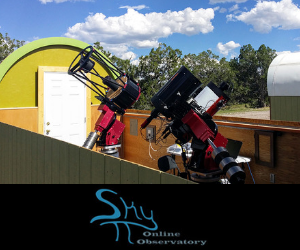 As Monica and her sister were prepping for the live event, Dr. McLeod shared with me some of the research projects that were undertaken utilizing the 24" Sawyer telescope. The Facebook Live interview started promptly at 1:00 pm EDT in the dome that houses the college's 12" Fitz Clark refractor telescope. Astronaut Abby was interviewed first describing how the 12" telescope operates and what its main function is at the observatory. Abby then gave a tour of the computer room that displayed meteorites and various antiquated research instruments such as a spectrometer and compasses. She then shared with the Facebook Education community the foundation she founded and leads. The Mars Generation is an international nonprofit operated in the United States as a 501(c)(3) nonprofit with the support of an advisory board of astronauts, engineers, scientists and her hundreds of thousands of online supporters. The nonprofit has reached over 25 million people in its first two years of operation and works to educate and excite kids and adults about space exploration and STEM education. The Mars Generation has 3 core programs: Future of Space Outreach Program, Student Space Ambassador Leadership Program, and Space Camp Scholarship Program. and the 24" Sawyer reflector telescope (far right). Then it was my turn... I waited in the dome that hosted the 6" refractor manufactured by Alvin Clark and Son's back in 1890. Monica proceeded to ask me to explain a little about the 6" telescope and how it differs from the imaging telescope we have at Insight Observatory. 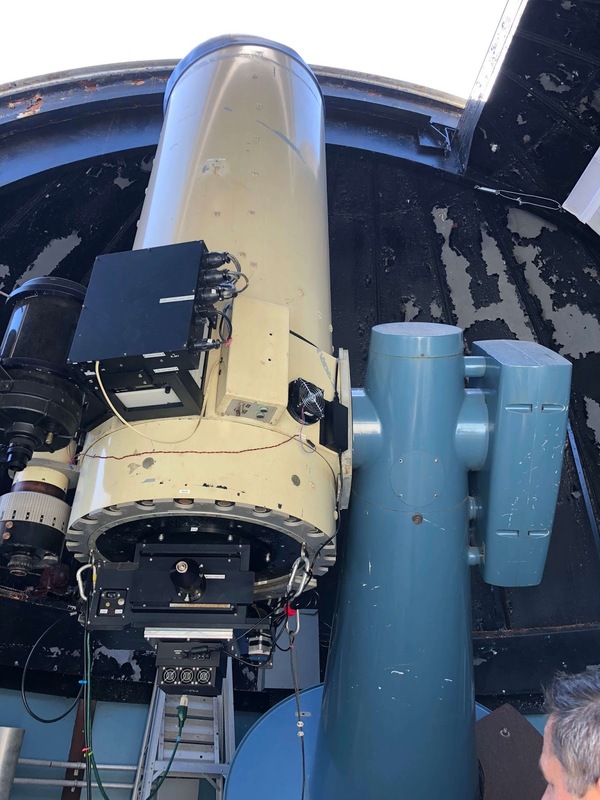 I explained to Monica how our 16" remote imaging telescope, designated the Astronomical Telescopes for Educational Outreach (ATEO), is accessible for the education community via the internet bringing the universe to the classroom. I also explained the different types of research projects that can be done with the ATEO such as extragalactic supernova search, asteroid hunting, studying variable stars or simply imaging detailed colored images of galaxies and nebulae. 24" Sawyer Reflector telescope used for student research at Wellesley college. We all then proceeded to the dome that houses the 24" Sawyer reflector telescope. Astronaut Abby explained how the telescope is constantly used for research using CCD imaging equipment very much like the ATEO. Monica then ended the live segment with asking Abby and I a few questions posted by students. This event was an honor to be part of and I would like to thank Monica Ares from Facebook Education, Whiting Observatory and Astronaut Abby for inviting Insight Observatory to be part of it! See the full Facebook Live event for Astronomy April Here!